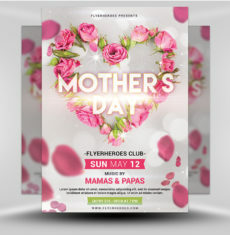 Sunday is about rest, reflection, giving back and spreading the love. 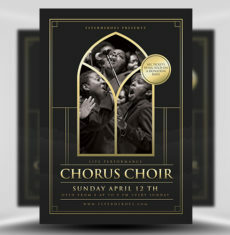 Let everybody in your community know that this Sunday, the door to your church is open! 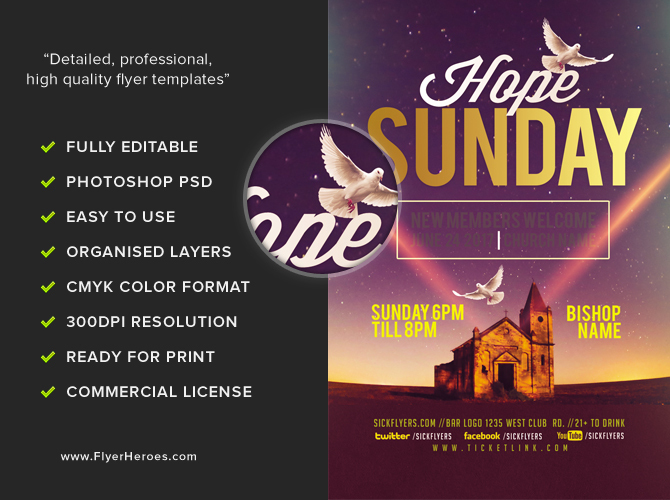 Promote your church event with the Church Flyer Template from FlyerHeroes! 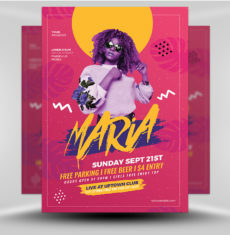 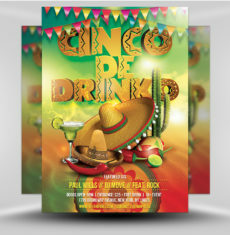 This flyer is designed with cool colors on the background and warm colors on the foreground, creating a drastic clash in color. 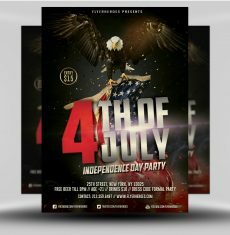 The background is the night sky, unveiling the stars and the heavens, while an old church stands strong on the foreground. 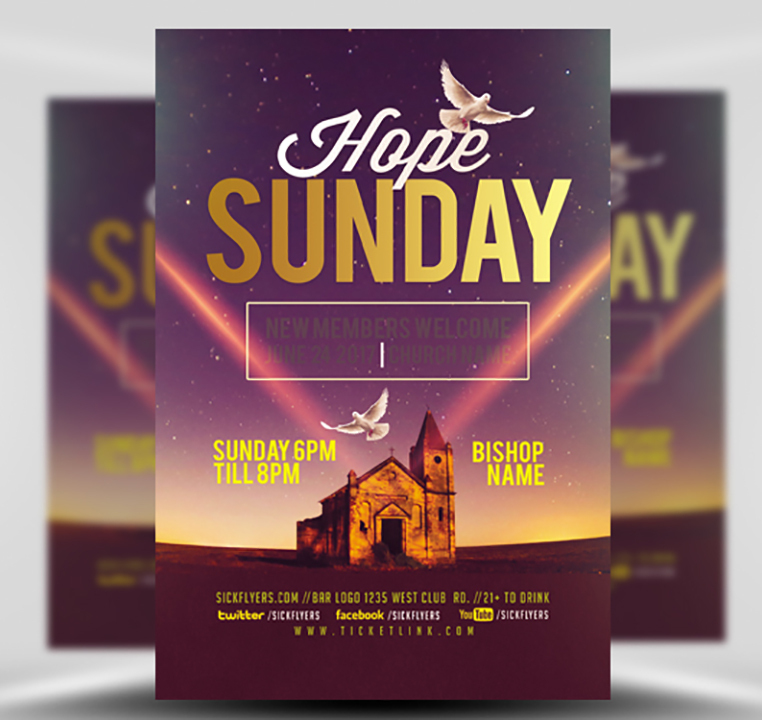 Along with two rays of light, beaming down upon the church and a couple of graceful white doves, this flyer template is welcoming and bright. 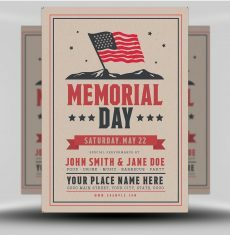 The typography is large and eye-catching, and is also completely customizable! 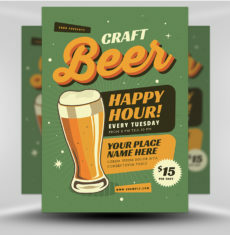 You can quickly and easily change all the text with a few simple clicks. 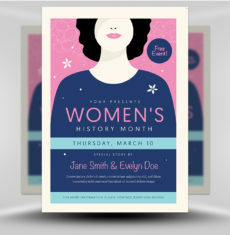 Also, you can re-arrange all of the high-quality images to reflect your own style and personality. 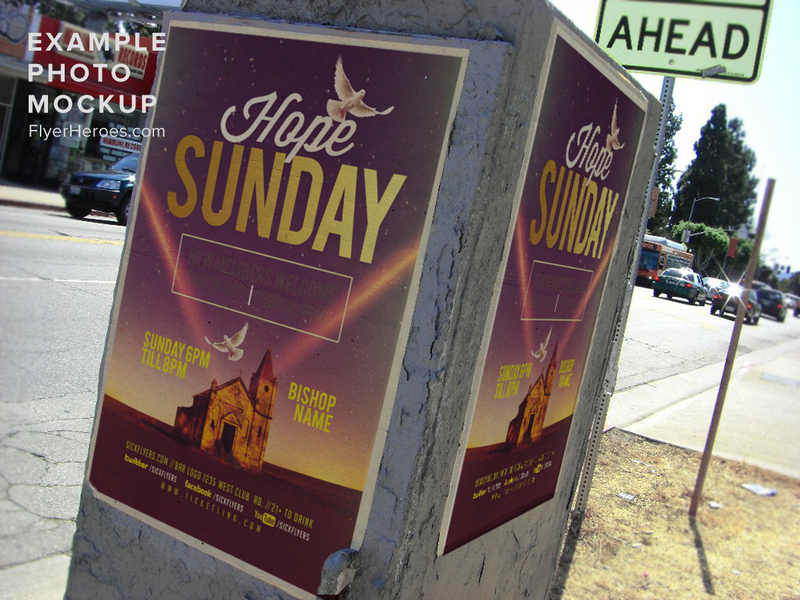 It’s all simple and easy to use, so you can begin promoting your Sunday Church event as quickly as possible. 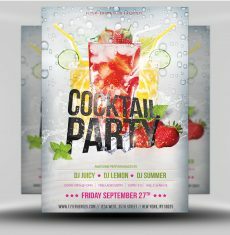 The FlyerHeroes experts designed this flyer with simplicity in mind, yet this flyer is incredibly effective. 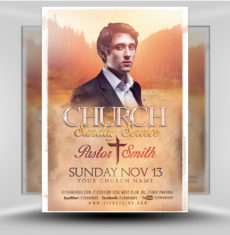 Promote your upcoming church event with the Church Flyer Template from FlyerHeroes! 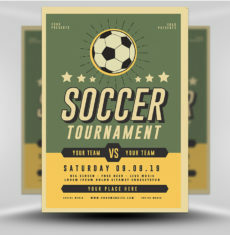 A couple of options will give you more variety and exposure. 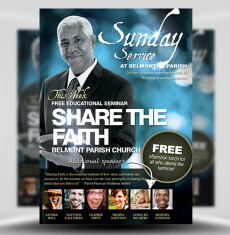 Consider pairing the Church Flyer Template V1 with another template of similar variety. 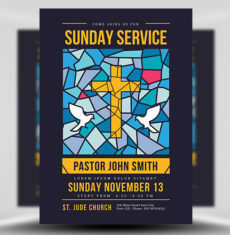 The Bring a Friend to Church Template is bright and happy, while the Church Revival Flyer Template will certainly make a statement. 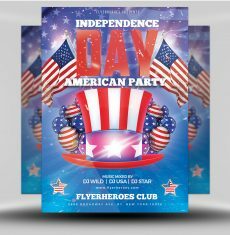 Search in the bar above for whatever you’re looking for, and you’re bound to find it here at FlyerHeroes! 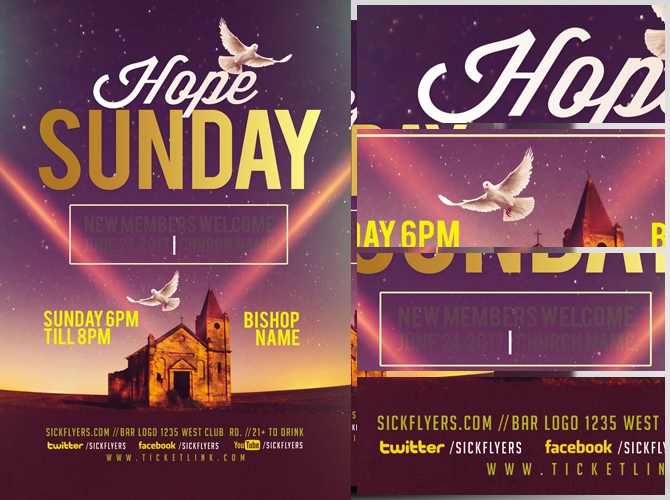 This Sunday, introduce somebody to your church with the Church Flyer Template from the pros right here at FlyerHeroes! 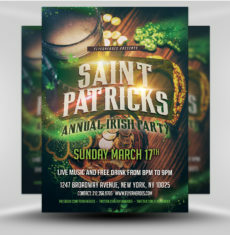 Church Flyer Template is a premium Photoshop PSD flyer / poster template designed by FlyerHeroes to be used with Photoshop CS4 and higher.